Travel in style with your shells to parties, tailgating and cookouts! Take your SOS when you head to the beach for some outdoor grilling. Take your SOS to the mountains for indoor baking. The “char-grilled oysters” served at Drago’s, in New Orleans, became a national success. To find and ship a natural shell can be very expensive. As a result, we’re offering a stainless steel shell for home or restaurant use. 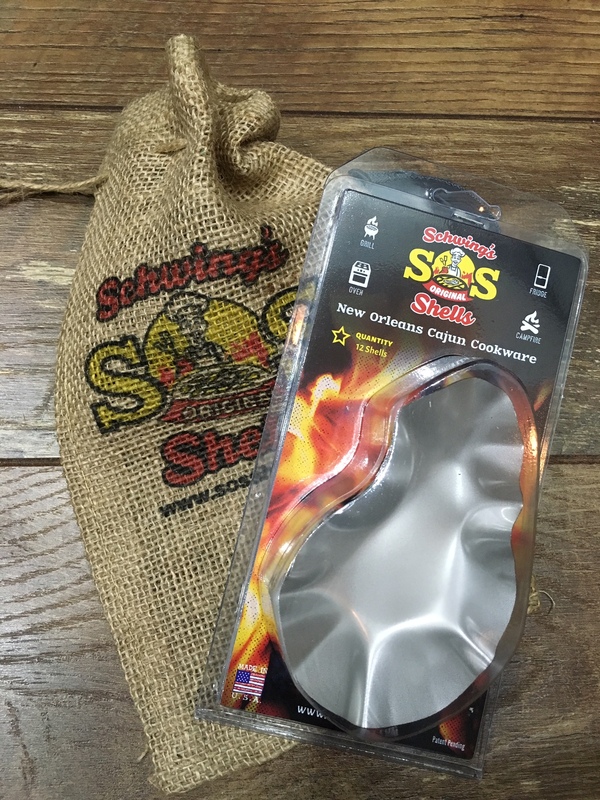 The result is a large, flat bottom, stainless steel shell that is sanitary, deep enough for your “special” sauce, allows char-grilling or broiling of a variety of foods. This item is easily cleaned and reusable. Approx. size is 4.75 ” x 2 to 3″ x 1/2 ” (LWH). 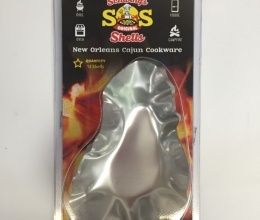 This pack includes 12 stainless steel mulit- use shells for chargrilling or broiling oysters, shrimp, chicken or veggie, veggies and more! 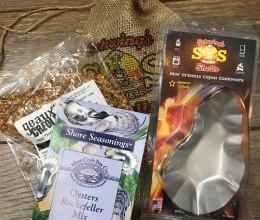 We also offer the printed burlap travel bag or storage of SOS Oyster Shells. 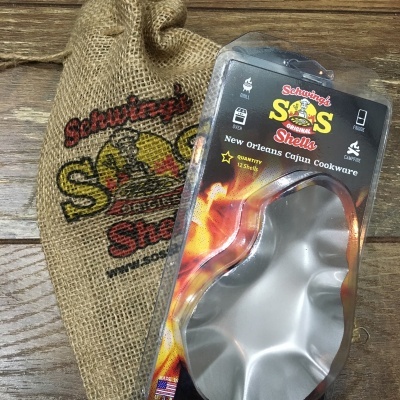 Take your SOS when you head to the beach for some outdoor grilling. Take your SOS to the mountains for indoor baking.